Don't get me wrong, I absolutely love getting dolled up for a good party but at the end of the day I much prefer to be casual. I always feel a little out of sorts when super dressed up! Anyone else ever feel like that? For me, I think it's because being dressed up typically means wearing high heels and I'm a booties girl through and through - ha! 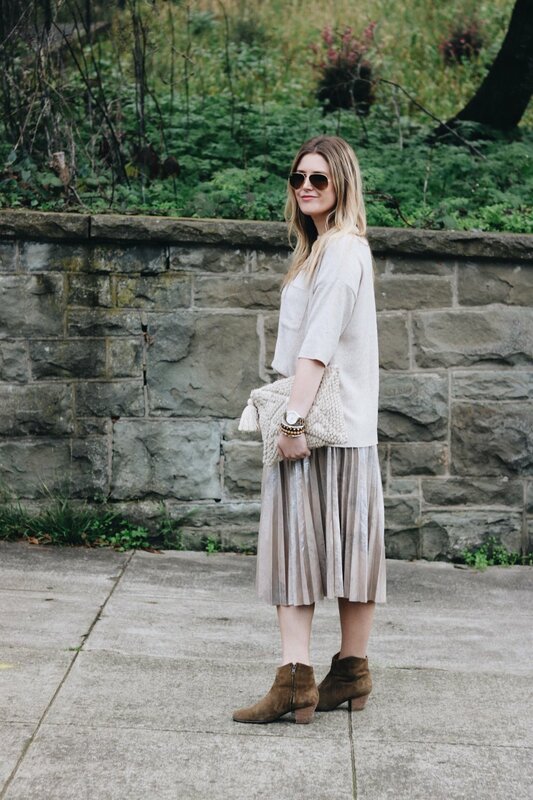 So because of that I dressed down this metallic skirt with booties (obviously) and a casual sweater for a cool, casual, bohemian twist! I love the monochromatic look and the mix of textures keep it from being boring. This look is perfect for a more casual holiday party or a day time party. But if you are not like me and absolutely love to get dressed up then this skirt is still for you! It is THE perfect metallic -- just enough shine without being overwhelming. Snag it for yourself here. 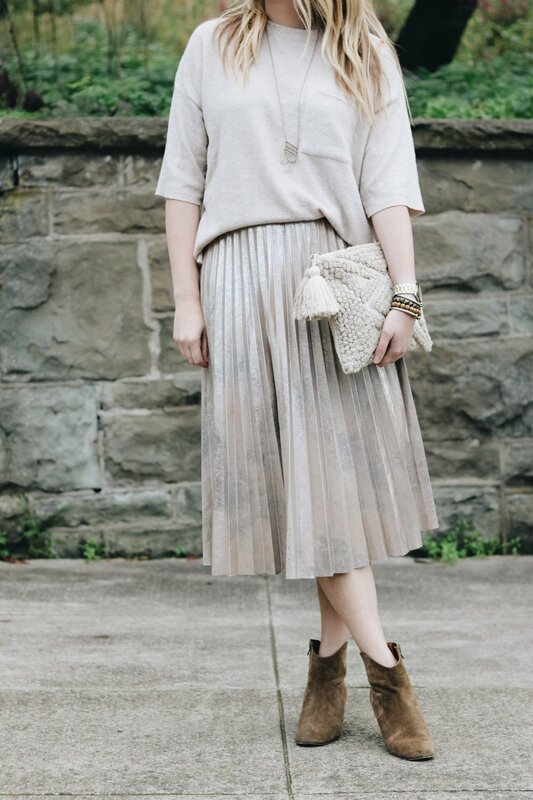 Linking more metallic skirt options below!